Sunitha is a leading playback singer in Tollywood ( Telugu Film Industry). She also performs Anchor and Dubbing artist in telugu movies. She started her palyback career from the song "E Vellalo" for the movie Gulabi and she became famous and later she performed anchor and also dubbing artist for various Soundarya movies. 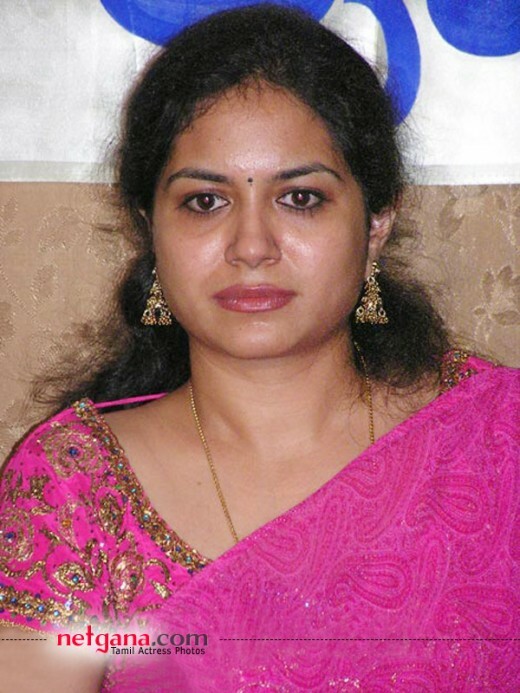 She did her Intermediate and BH Degree in Guntur, AP, India and then she came to Hyderabad. Her mother is from the Malladi family. Her first stage show was in 1995, for the Doordarshan programme "paadave koyila" and she sung the song "Na Koi umang Hai" hindi song and she was concentrating on how the audience will appreciate and she was not been honoured there. She got married at the age of 19 to Mr. Kiran. Smt. Sunitha is a renowed Singer and dubbing artist. She has started her Cultural pursuit at a very early age of 3 years and got training in Music from Pemaraju Surya Rao in Karnatic Vocal and Light music from Kalaga Krishna Mohan for 8 years. Having thus trained, she gave her first programme in Karnatic Classical Music in AIR in the year 1995 at the age of 16. She has given about 500 programmes so far in AIR, Dooradarshan, ETV, Gemini TV, and MAA TV. With the advent of TV and films, her latent talents in the music blossomed into perfection with fragrance. She debuted as a playback singer with the song, �Ee Velalo� in the film Gulabi in the year 1995. This song has been a haunting melody which has not lost its sheen in the last 10 years. The musical journey from there on saw many more accolades and appreciations through songs like, �Maaghamasam � from �Egire Paavurama�, �Pedavi Daatani� from �Thammudu� , all songs from �Badri�, �Manasemo Cheppina Maatevinadu� from �Yuvaraju�, �Alanati Ramachandrudiki� from �Murari� which she sang along with veteran singer of yesteryears Smt. Jikki., �Nee Navvula� from �Aadi�, �Haayi Haayi� from �Chennakesava Reddy�, �Nanneydo Seyamaku� from �Simhadri�, �Chandamama Kathalo� from �Ee Abbayi Chala Manchodu�, �Manava Manava� from �Anji�, �Title Song� of �Nenunnanu�. �Naa Paata� from �Athade Oka Sainyam� which fetched her the Nandi Award in the year 2003, �Naa Peru Cheppukondi� from �Pallakilo Pellikoothuru�, �Ganga� from �Gangothri�. She also had the privilege to sing �Kudi Kannu Adirene� for veteran director K.Viswanth�s Film �Swarabisahekam� and �Maa Muddu Radhamma Raagale� & �Vaalu Jeda� for another veteran Sri.Bapu�s film �Radhagopalam�. This musical journey didn�t stop with Telugu, she was introduced in Tamil & Kannada by Maestro Illayaraja. There are many more good songs in the offering from her. Apart from her marvelous singing career she is also voice of latest heriones in telugu movie industry from Sonali Bendre, Shriya, Genelia, Sneha, Sada, Gowri Mumjal, Charmy, Asin, Katrina Kaif and many other upcoming heroines. Apart from giving about 500 programmes both in classical and light Music, Smt. Sunitha got National Award in the year 1994 at the age of 15 years from AIR. She rendered her first program "Padave Koyila" (First live program on Dooradarshan). Her anchoring career started in Gemini TV with a music based programme "NavaRagam" for 60 weeks which gained her lot of name and applause. "Mee Mata Mee Patta" (Interactive phone program) on ETV for 50 weeks and received much recognition in Andhra Pradesh.�Priya Priyatama Raagallu" a music based show with Renowed Male playback singer Mano on ETV received much applause. "Kuhoo Kuhoo" a live show on MAA TV a music based show in which every week a renowed guest from Telugu music industry is interviewed and interacted with audiences. She anchored and compored number of film based programmes, music concerts, and film promotional programmes for last 9 years. AWARDS AND FELICITATIONS: Smt. Sunitha services towards promotion of music were recognized and rewarded, even though she never aspired for them. She received National Award from All India Radio under light music category in 1994 at the age of 15 years. She was felicitated by Honorable Chief Ministers of AP receiving Prestigious Nandi Award from State Government of Andhra Pradesh for year 1999 as the Best female playback singer for TV film "Anthaa Rangaalu". She also received her 2nd Nandi Award for year 2002 as the Best dubbing artist for the film Jayam. She received her 3rd Nandi Award for year 2003 as best female playback singer for Movie "Atthade oka Saiynyam". � Sangam P Susheela Youth Award for year 2004 honored with Gold Medal. � Cine Goers Award as best dubbing artist in the year 2002. � Vaartha Vasavi Award as best female playback singer in year 2000. � Bharata Muni Award in year 2000. � Vamsi Berkeley Award as Best female playback singer in year 1999. Smt. Sunitha has traveled abroad extensively as a Singer and claimed International recognition. She was invited to Telugu Association of North America �TANA in 1999, 2001. For TANA 1999 she was a part of the troop with Nagarjuna, RamyaKrishna and Tabu. She was invited with renowed film Music Director Saluri Koti to American Telugu Association- ATA in year 2004. She extensively visited Cincinnati, Philadelphia, Columbus, Chicago, Pittsburgh, Boston, Detroit, Los Angeles, Sanfrancisco, New York, New Jersey and various other cities in US. She also visited London on a special invitation from European Telugu Association �ETA in year 2003 and received Best movie playback singer award. She has also given musical concerts in Dubai, Sharjah with renowed male playback singer Mano in 2004 to perform in front of several Telugus settled in Middle East. Her foreign tours were a great success and stand as milestones in her career.